Hand Drawn Abstract Vector Seamless Pattern Of Ink Brush Painting Hearts With Glitter.Pastel,black And White Colors. 免版稅剪貼畫，向量插圖和股票. Image 117256718. 版權商用圖片 - Hand drawn abstract vector seamless pattern of ink brush painting hearts with glitter.Pastel,black and white colors. 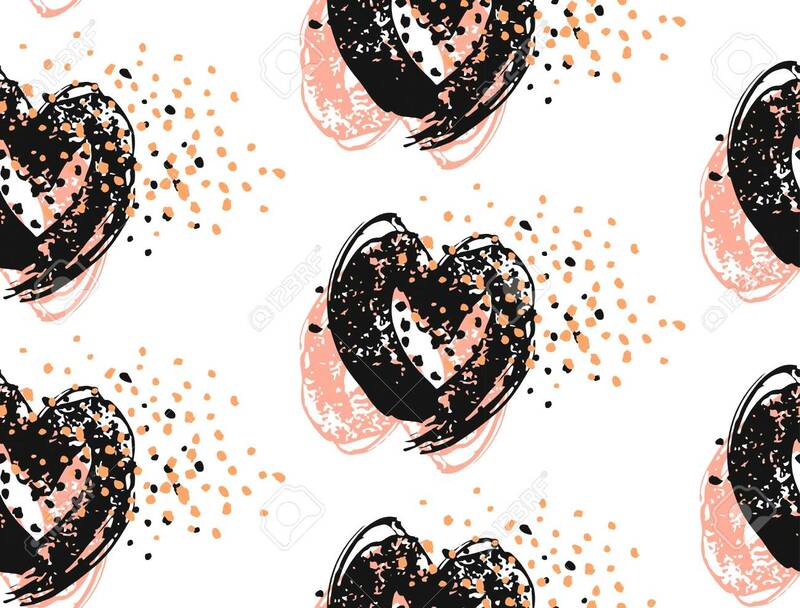 Hand drawn abstract vector seamless pattern of ink brush painting hearts with glitter.Pastel,black and white colors.